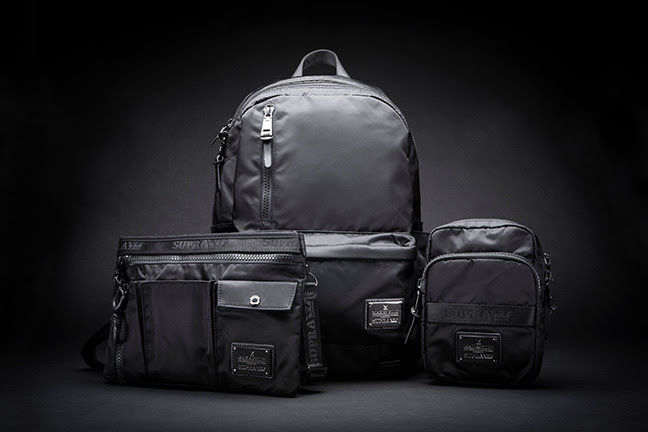 Be the first to see the collaboration with Tokyo-based luxury label MAKAVELIC. This "East meets West" capsule collection is made up of three highly functional pieces: a backpack, 2 Way Sakosshu Pack, and a cross-tie pouch. From the Supra branded jacquard straps to the Makavelic pull-tabs, all offerings are fully co-branded and crafted with technical fabrics such as CORDURA 1680 making them tear - wear resistant.